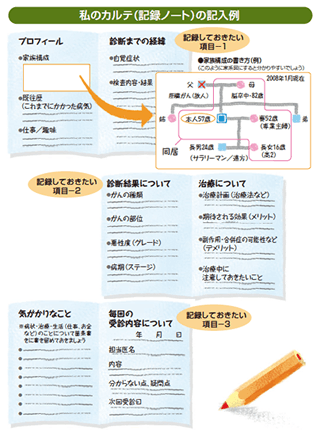 Good communication with patients receiving bad news about cancer in Japan. Fujimori M, et al. : Psycho-Oncology. 2005; 14: 1043-1051. Preferences of cancer patients regarding the disclosure of bad news. Fujimori M, et al. : Psycho-Oncology. 2007; 16: 573-581. Relationship between outpatients’ perceptions of physicians’ communication styles and patients’ anxiety levels in a Japanese oncology setting. Takayama T, et al. : Soc Sci Med. 2001; 53: 1335-1350. Psychological responses of patients receiving a diagnosis of cancer. Schofield PE, et al. : Ann Oncol. 2003; 14: 48-56. The dynamics of change: cancer patients’ preferences for information,involvement and support. Butow PN, et al. : Ann Oncol. 1997; 8: 857-863. 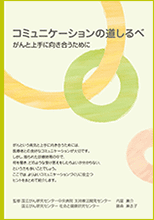 Patients’ preferences for involvement in treatment decision making in Japan. Sekimoto M, et al. : BMC Fam Pract. 2004; 5: 1.